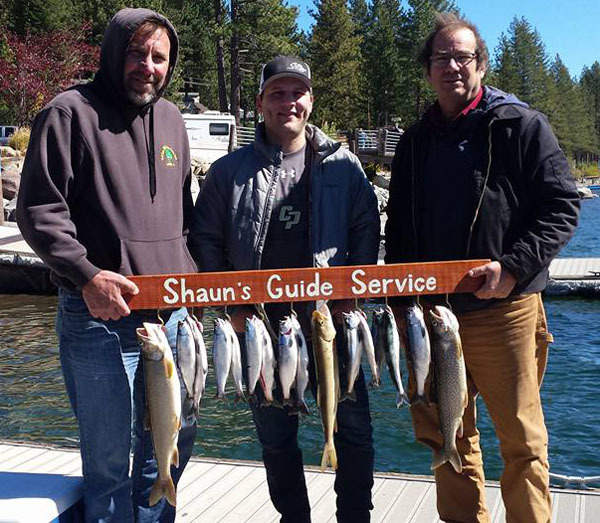 Donner lake fishing remains good. The lake has been down all the way for a few weeks now. Be careful launching. We released 2, a bow and a koke. 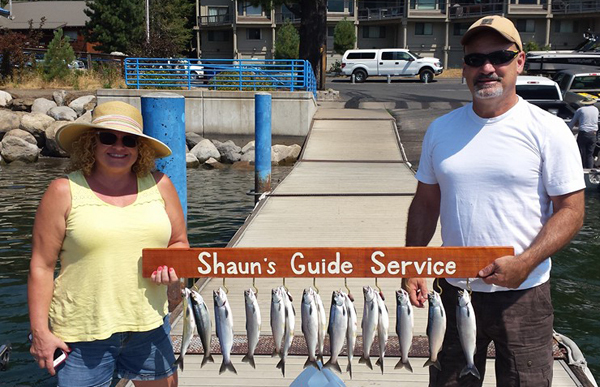 Some of the Kokanee we got were next year's, but we couldn't release them. We ran one rod for Macs and they are acting the same, for the most part. Some of the big ones have started spawning. 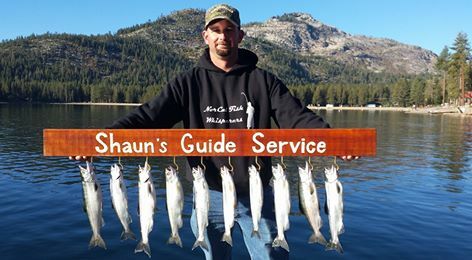 Gvflures.com nailed the Kokanee. We lost a bunch and ended with 16. Good day, great clients. This was Saturday, the 1st.